Getting a life partner is one of life’s best gifts and getting an engagement ring could be something you have sought after for months to get the perfect choice. However, picking a wedding ring to go with it could be something we push to the side and don’t put much thought into. This does not have to be the case, because a wedding ring is something you will wear for the rest of your life, we should give it equal thought and attention. 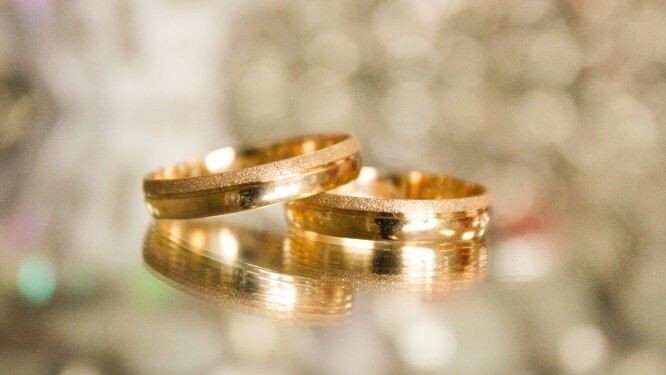 With a wide variety of choices to choose from, all from all over the world, we narrowed down to seven ways to help you narrow your search for the perfect wedding ring. This could be the most important thing to consider; how much are you willing to spend on the wedding ring? Once you have identified your budget it will make it easier for you to know where to begin your search. It’s important to consider your soon to be wife’s day to day activities and lifestyle as you decide the type of ring she will wear for the rest of her life. If she works a lot with her hands choosing a ring that will easily tear and spoil would not be ideal. It’s important to choose or pick a ring that will be in style for a long time. Picking a ring that is trendy at the time could be good for that season but you will need a ring that will stand all seasons and trends. It is also good to consider a ring that will withstand all the cleaning and washing that will be done to it over the years. Ensure to pick the size that is a perfect fit for your bride’s finger. Make sure not to pick a ring that is too tight or too loose for her. The advantage of this is that you have already picked her engagement and so you have a good idea of her ring size. One of the most important things in picking a wedding ring is being sure to pick one of good quality. A good quality usually has the manufactures trademark sign. Where you buy the ring is very important because of the benefits that come with it. A good jewelry store will offer maintaince and cleaning of the ring. They will also give you good prices for resizing of the rings over the years.